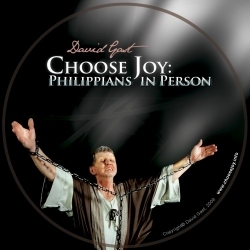 This 30 minute live presentation in dramatic monologue as the Apostle Paul is effective in church services, or other gatherings of the body of Christ. The apostle, Paul, certainly wrote an excellent letter to the church at Philippi, and it’s amazing how it relates so well to us today. His admonition to “Rejoice in the Lord always” is as much for us as it was for the Philippian church.